UMC educational training workshop delegates in session. The two day workshop was spearheaded by Africa University and its faculty from the College of Business ,Peace, Leadership and Governance as well as the College of Social Sciences, Theology , Humanities and Education who together developed a rigorous training programme that touched on the maintenance of professionalism within the teaching profession at all times, the ability maintain inclusive education, hone leadership and maintain the spiritual elements of guidance and tolerance as enshrined within the Christian Faith. With well over one hundred delegates in attendance, the reach and impact of the workshop touched educators from UMC affiliated schools spanning the breadth of the country, serving as yet another example of AU’s dedication to the dissemination of information, education and opportunities thereby enriching the lives of the people that the institution serves directly and indirectly. The objectives of the training workshop were to critically analyze contemporary rules and regulations governing the teaching profession, enhance the ideal of teachers being stewards in mission with schools being centers of giving, promoting the spiritual lives of students and most importantly developing new high impact strategies and approaches for the development of both students and teachers. 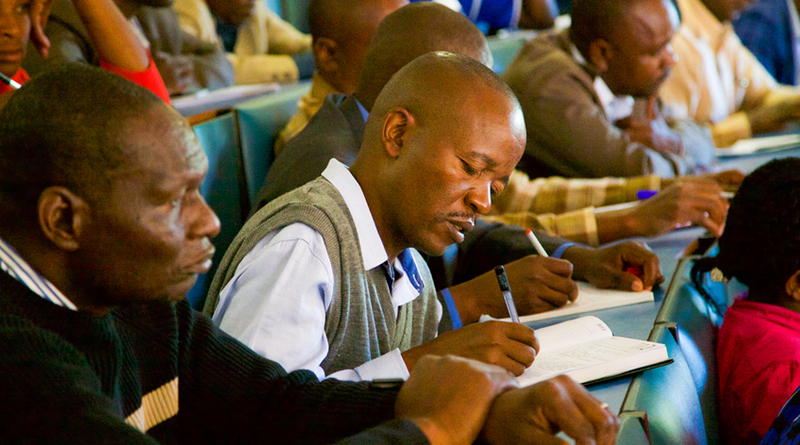 UMC schools in Zimbabwe have long held a reputation for excellence with more than 40 primary and secondary schools throughout Zimbabwe with the students that attend these institutions benefitting from strong academic learning in a rich Christian environment. Students go on to universities across the world in a variety of disciplines from engineering, medicine, the arts, agriculture and the social sciences. Waddilove High School situated in Marondera, Zimbabwe has educated Zambia’s first black president Kenneth Kaunda, Zimbabwe’s first black Chief Justice, Enoch Dumbutshena among many other successful alumni serving in various capacities both within Zimbabwe and across Africa.